The OHHS Drawing and Printmaking students will be exhibiting this year's Memory Project portraits at the Fitton Center for Creative Arts. The Memory Project exhibition will showcase portraits created for the Rohingya refugee children before they are sent off for delivery by the organization. 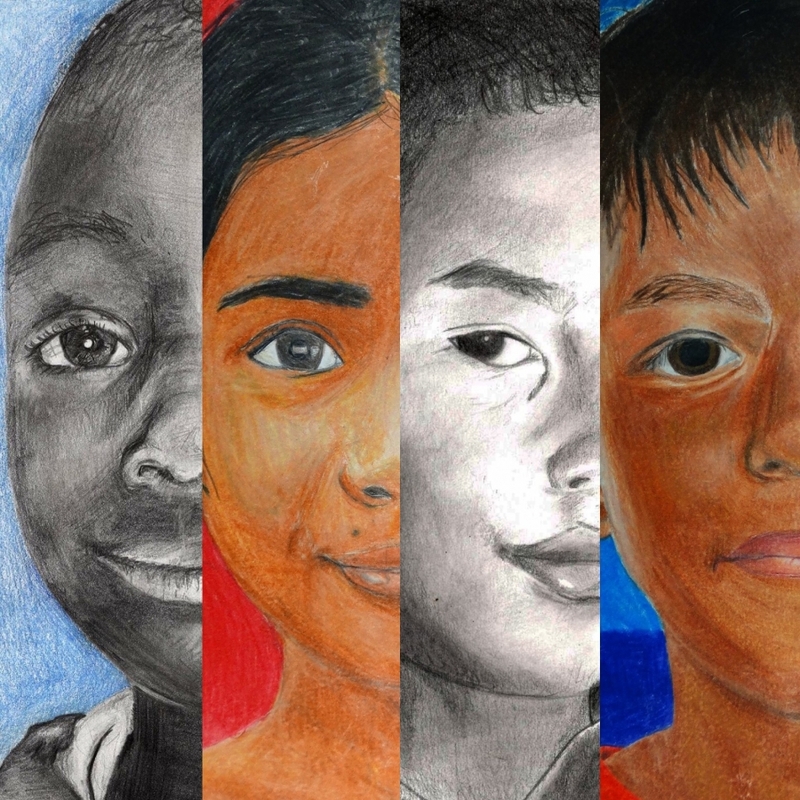 Compilation images of past portraits will be showcased as well to illustrate the OHHS students' global impact through the works they've created as a part of The Memory Project, and hopefully inspire involvement from many more young artists. Puerto Rico has faced many economic challenges over the past decades. Lack of adequate funding has forced many schools to close, and the percentage of elementary students who qualify for free and reduced lunch is around 90%. Those challenges were already present on the island before Hurricanes Irma and Maria unleashed total destruction in September 2017. The Rohingya ethnic minority has been called the "most unwanted" group of people on Earth. Nearly a million fled genocide in Rakhine Myanmar last year and are currently sheltering in a huge refugee settlement in Bangladesh. Most of these families have little more than a few cooking pans and a handful of clothes. For these children, who have rarely seen photos of themselves, the portraits will be gifts they could never have previously imagined. The exhibition can be viewed in the 1st floor Community Gallery from December 4th through the 31st. There will be an opening reception on December 8th from 6:00-7:30 pm in conjunction with the Fitton Christmas Spectacular, a performance that begins at 7:30 pm. The Fitton Center for Creative Arts is located at 101 S. Monument Ave, Hamilton, OH 45011.